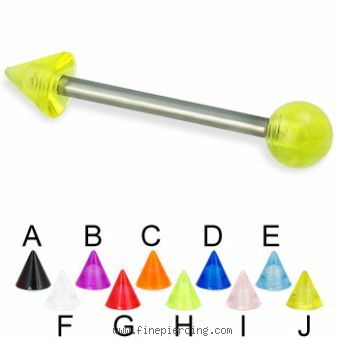 UV ball and cone titanium straight barbell, 14 ga. Body piercing jewelry. Shown: 16mm straight barbell with 5mm ball.